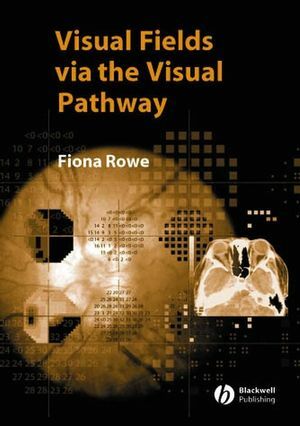 As a clinical practitioner, researcher and educator, Fiona Rowe has actively investigated and interpreted visual fields from all aspects of ocular pathology over the last 15 years. She is regularly invited to present to professional groups on this topic. 1. Field of Vision and Visual Pathway. 2. Methods of Visual Field Assessment. 13. Visual Field Artefacts and Errors of Interpretation. Enlivens the relationship between the visual pathway and visual fields. Illustrated with 150 figures, including a wealth of visual field results, scans, photographs and line drawings. Each figure attracts a detailed descriptive caption. Covers differential diagnosis and artefacts of testing. Indicates signs and symptoms to help pinpoint the site of a lesion. Centres on examples of visual field results from both Humphrey automated and Goldmann manual perimetry.